I love stitching. 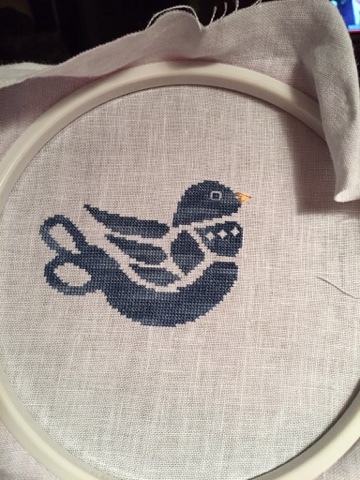 I love making stitcher's treasures. I would like to share my love of needlework. I know it has been some time since I logged in here. Just the other day I tried to do this and the app failed. Let's see if I can do this now. I just finished this yesterday? I know it was my last finish. I have been trying to get some Christmas ornaments done. This is a Shepherds Bush Needleroll titled Frightful Halloween. I love the colors of fall. I spent some glorious time In My Room. I put theses together and did some work so more finishes might get completed soon. This was a challenge. 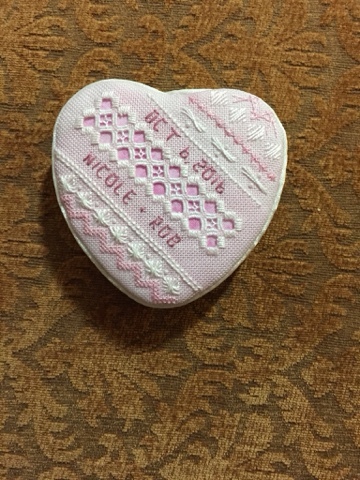 I made this for a wedding gift. Sadly I asked her boss what her colors were. I was too pinks. No, they were eggplant, ivory and gold. Also the date was the eighth and not the sixth. I believe this was one of my best attempts to "finish" this type of tin. No way was I going to tear it apart. 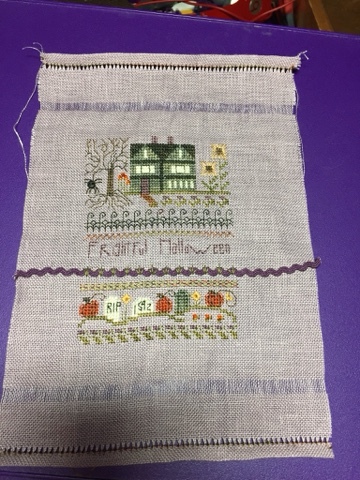 So I did figure out how to add just two stitches to make it right. Whew! Our fall colors are great. I keep looking to a good photo. So far I haven't seen one but I am enjoying getting out and about to see the leaves. Fall arrives tomorrow. Here I. The northeast, we have had some warm days and a few glimpses at collet stuff. I live the colors of falls, the smell of fall, the soups and socks of fall! And here it comes. I am thrilled. I haven't spent much time at camp. I have been concentrating on the house. Today I washed Windows. Argh! Tough job but I so love clean windows. I also had tow finishes. Yippee Skippy! That doesn't happen every day. 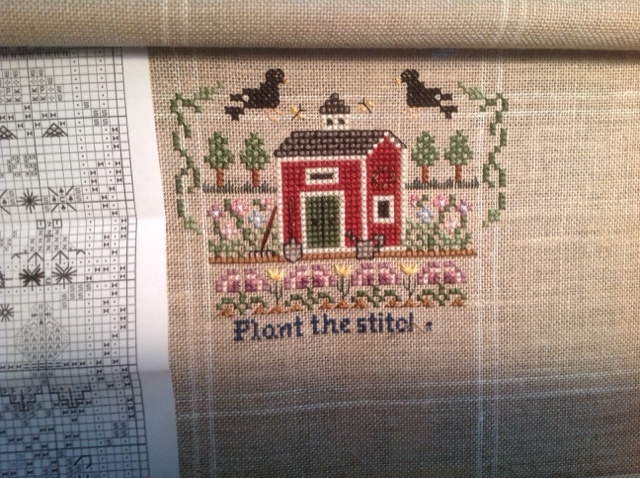 The first is a Just Nan chart titled Needle In The Garden. I live band samplers for days gone by. The little stories, the instructions. I live it all. I am glad to have this done. I don't have any plans for it. 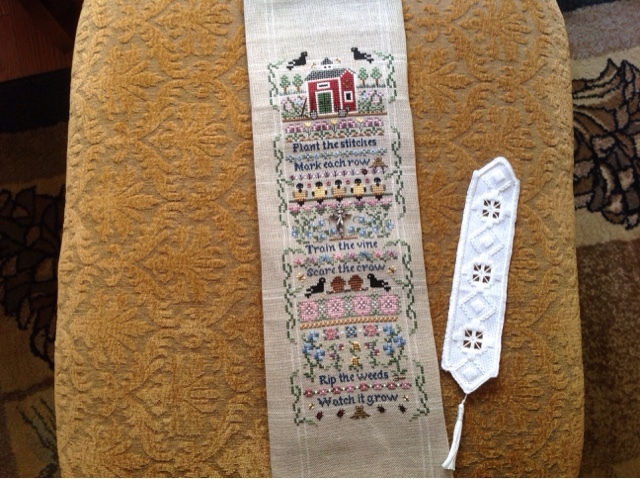 I also worked in finishing up a hardanger bookmark. This will be a gift for a friend. I am quite pleased with that as well. I need to get back to work on the flag. It won't be long before I am ready to return to afghans. 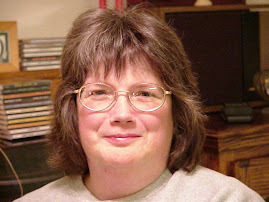 I am also signed up for a Celebrations in Needlework retreat in October. I am really looking forward to it. Where does the time go? September? Hi all. Yes, I know it has been quite some time. 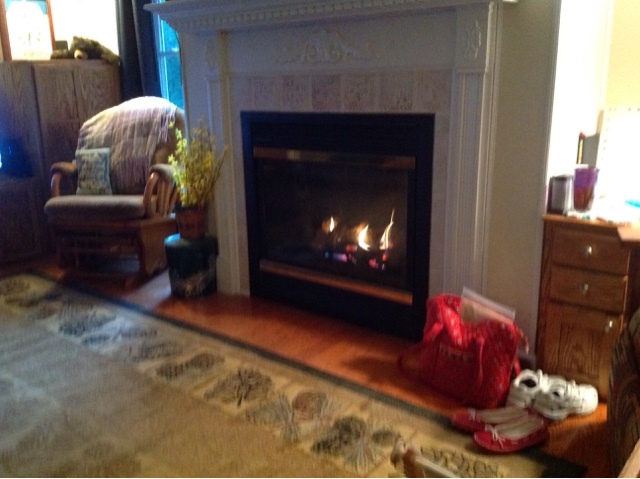 As of tonight, windows are closed and there is a fire in the fireplace. Chilly temperatures are due tonight. Brrrr. I am already wearing long sleeves most of the time. Especially at camp. 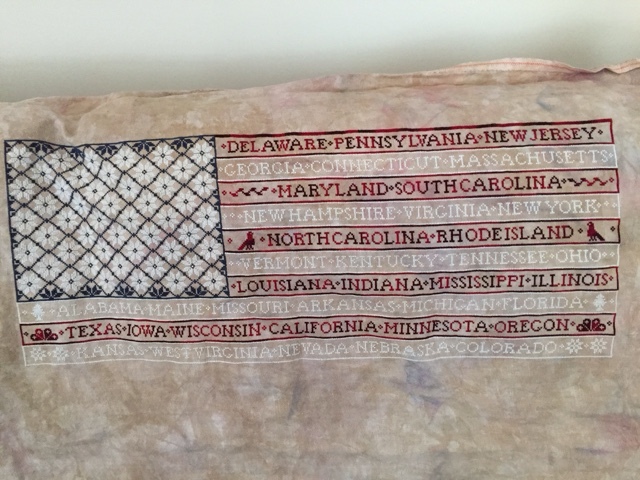 I have continued to work on the Flag. Three more stripes to go! I have a home for this framed and in an office. Somehow knowing where it will end up makes it easier to work on. This is a special project. 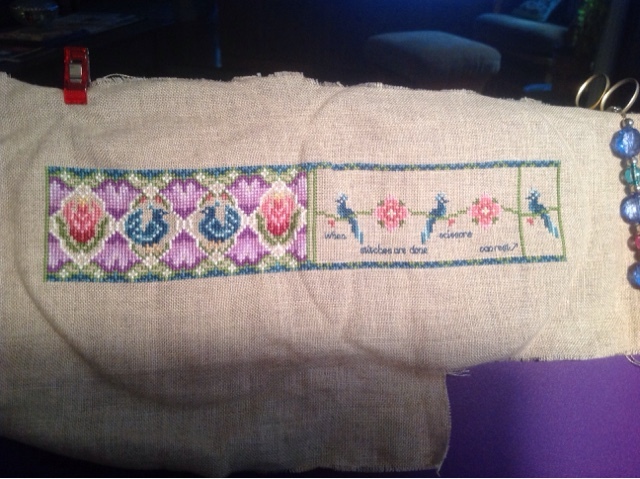 Then there is Just Nan sampler project. I haven't done as much on that one. 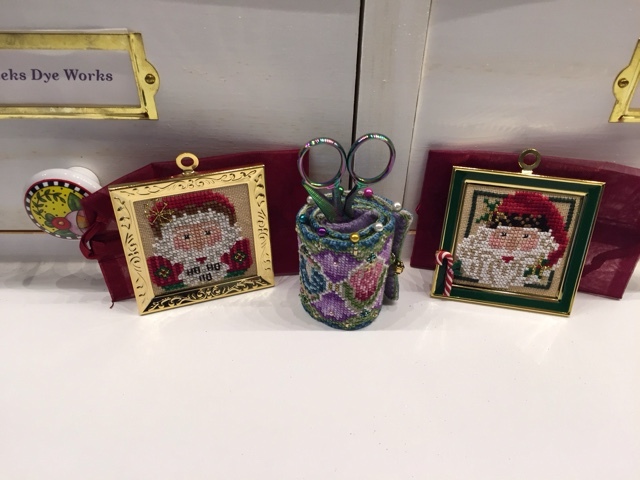 I am trying to set up a registration to Celebrations in Needlework in Stowe, VT. Is anyone else going that reads my blog? Just curious. Whew! It is wet outside. Very humid, hot and now rain to make sure all is wet. I hope the storms break the current spell and nice weather comes to call. I have been busy with my stitching and improvements at camp. 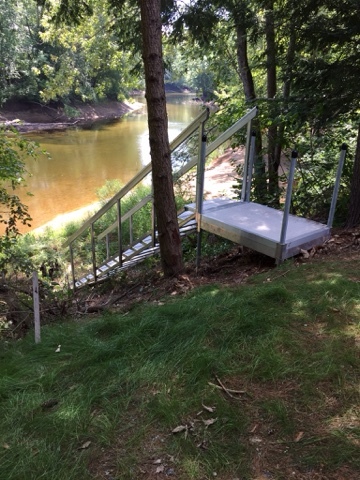 I had aluminum stairs put in so we can get down to the river. I have made it down there for a good soak once so far. That project has kept me busy. I started an Ort Box done on canvas. Hours of prep work and the first installment are done. 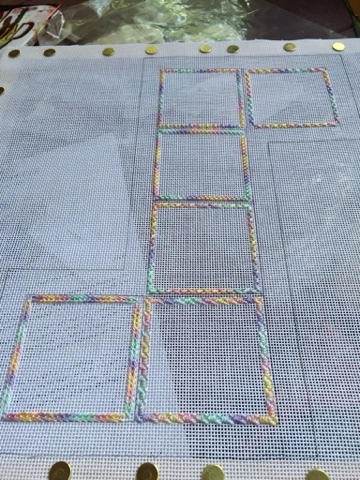 There will be specialty stitches done in each of the squares. It certainly has captured my attention. I also finished the Just Nan Peacock Needleroll. I just need to put that together. I have found some time to spend in my room. I set up some fans so I can keep it cool in there. The Peacock project was a bit of a challenge. 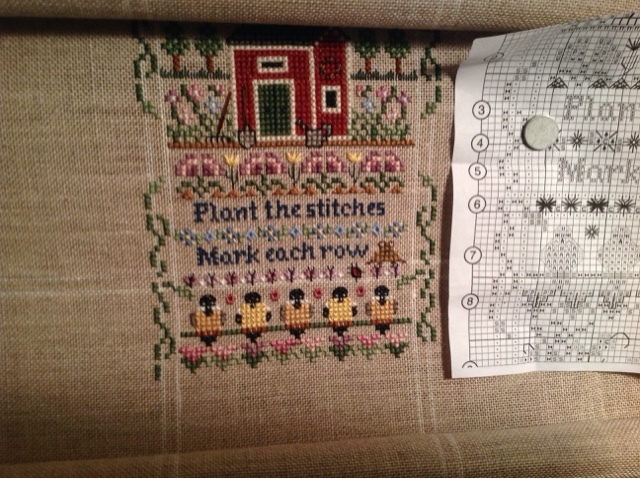 Next up I started an older Just Nan project called Needle In A Garden. I am up to the third band. August? Where Did July Go? So the bruises are fading from the garage cleaning project. I have focused inside during the worst of the heat and humidity.. Today I finally spent some time in my room. I love putting together my little treasures. It took a few hours. I also spent time outlining a canvas and then putting it on a frame. 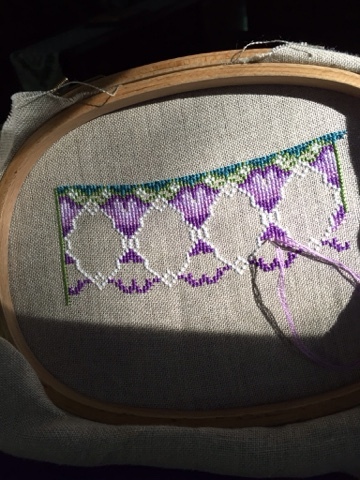 I have started work on a Just Nan, Peacock needle roll. I live the colors. Tomorrow I have workmen at camp so I will be over there and perhaps I will take some photos. Or I will when it cools down! It has been hot and humid. I hit the final corner, cleaned the floors and made a trip to the dump. Whew! It is done. 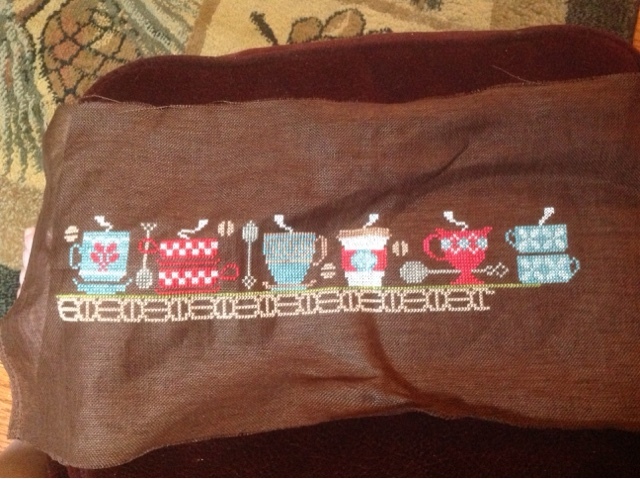 In between all the cleaning and errands, I have been stitching. Now I am working on a project called Java Block by Hands On Design. This is the sides of the block and then I have a top and bottom to do. 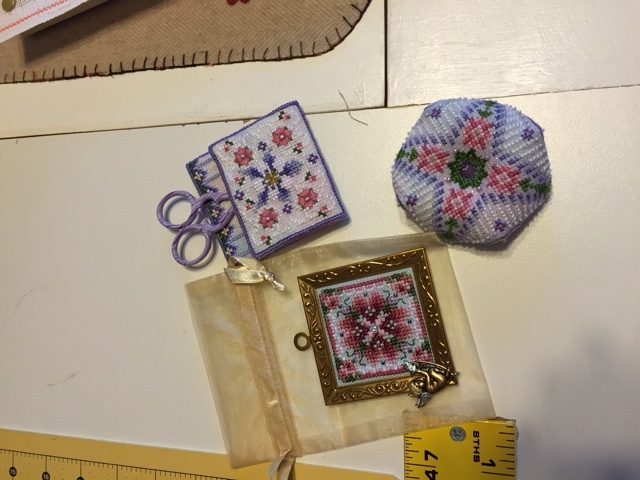 It will made a square pin cushion when completed.